The Inventory management add-on automatically adds a column named Qty in stock to your product listing. It is very simple to check the availability of a product. 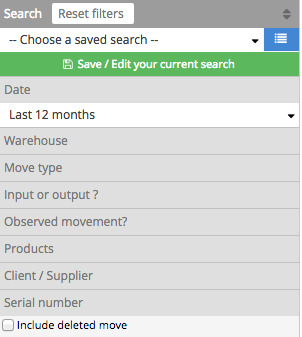 Open the product page, and you will see product inventory details, such as your warehouses and movement details of said products. You can also filter your stock movements from the Stocks menu and then Moves.